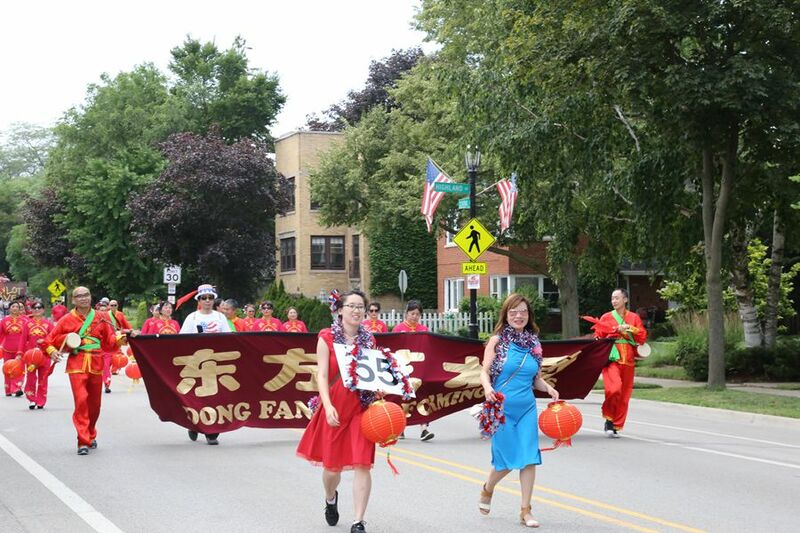 On July 4, Evanston's Independence Day parade was held, and more than 20 members of the Dong Fang Performing Arts Association(DFPAA) from the Chinese community joined the grand parade under the leadership of Zheng Zheng. 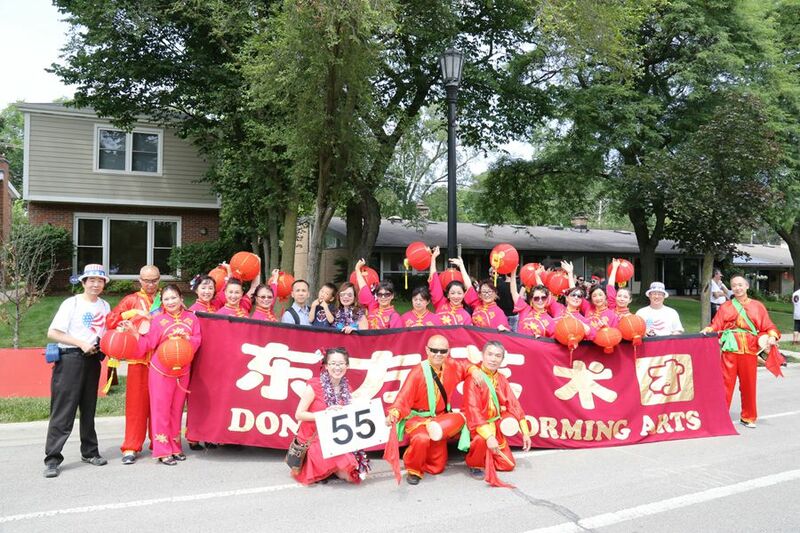 This is the first time for DFPAA to participate in Evanston's Independence Day parade , and DFPAA has brought a authentic Chinese classic art to the parade. Dressed in Chinese-style red outfits with red lanterns in their hands, the performers danced cheerfully along the 2 miles long road and won many rounds of applause. Acting Consul General Liu Jun accompanied DFPAA in the parade. 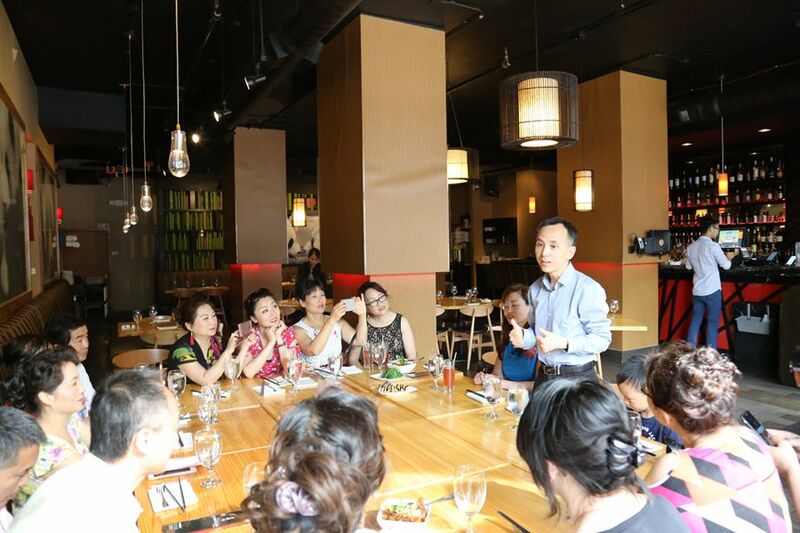 Liu Jun told paraders that it is very meaningful to participate in this social events, and this is a very good chance to promote the Chinese culture and the Chinese community. 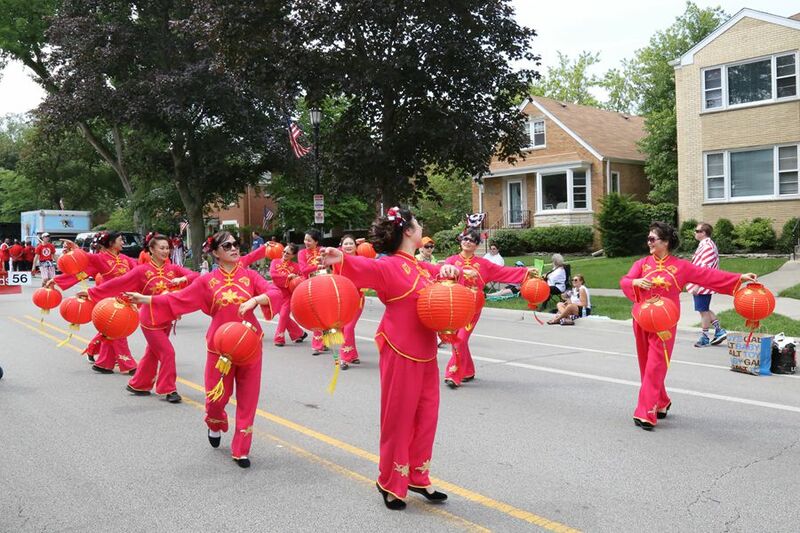 Beginning in 1922, Evanston’s Independence Day Parade draws nearly 100 community groups to participate in each year with tens of thousands local audiences.